Elbow dysplasia is a disease that involves a few developmental problems in the elbow joints of a dog. This mainly leads to a degradation of the joint that can lead to inflamation and osteoarthritis which can be severely painful. Diagnosis is simple and usually happens from an x-ray. If you think your dog may have elbow dysplasia you should take your dog in as soon as possible and consider the treatments. Sometimes if a puppy goes through a growth spurt there is a high chance of the joint not working properly afterwards, especially in certain breeds that have predispositions to the disease such as Pomeranians. 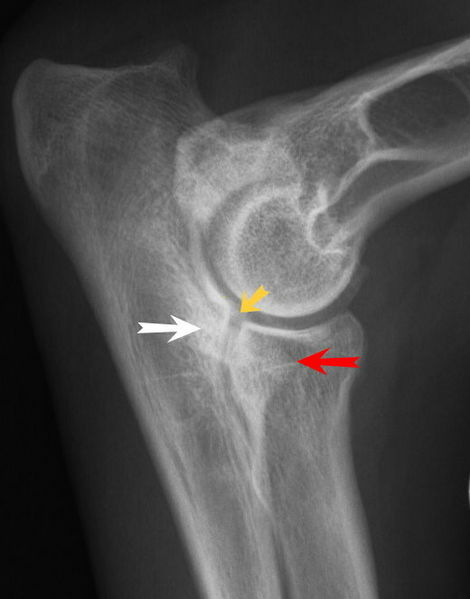 This disease mostly happens in larger dogs because around 60% of the dog's weight is on the elbow constantly, leading to wear and tear of the joint. 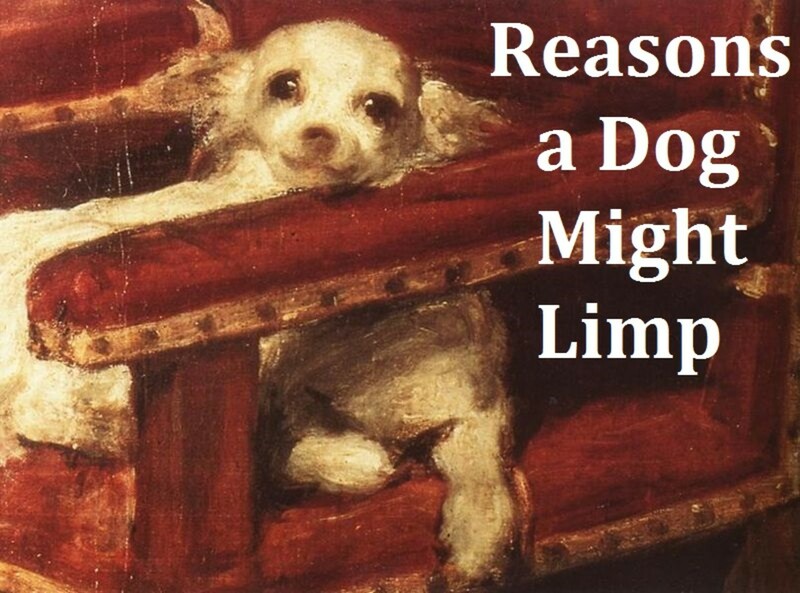 If the dog is not healthy or is overweight then there is an extra chance of this happening. Keeping a healthy diet is of course the best way to prevent most diseases, but there are other things you can do to help. 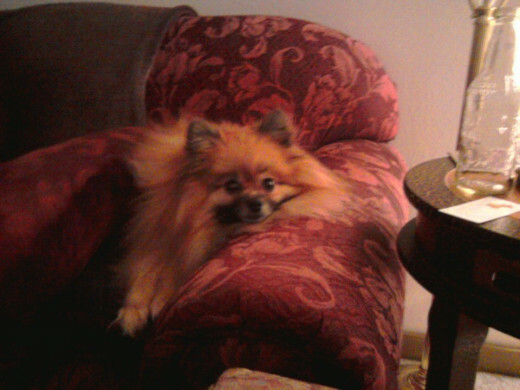 For instance, my Pomeranian loves to climb onto the backs of chairs and jump off. This is horrible for his joints because it is a lot more force than should be exerted on his joints. This is actually how we found out about elbow dysplasia in the first place - he had run across the back of a couch, onto the arm, and tried to dive off into the floor. On the landing he seemed to have severely injured his leg even though he had done similar things all the time. This led us to go into the vet and have a discussion about what could be wrong. Unfortunately he wasn't trained very well, and that led to constant problems in trying to get him to not try to fly off of things anymore. Training is key - make sure if your dog is at risk for elbow dysplasia to train your dog to not climb and jump off things. 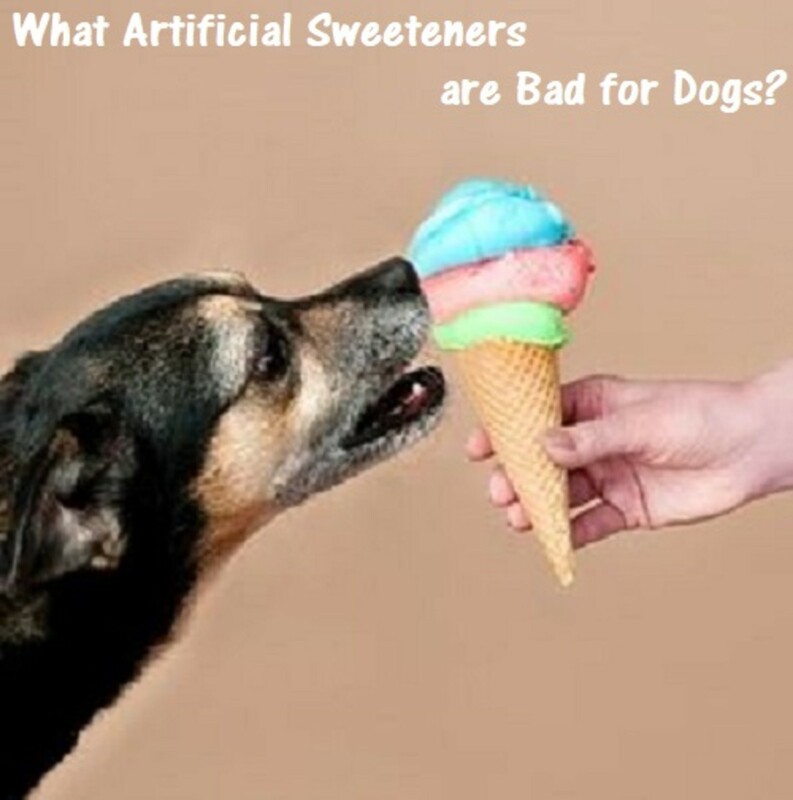 This can either prevent or at least postpone the onset of elbow dysplasia and the other bad effects that come from it. 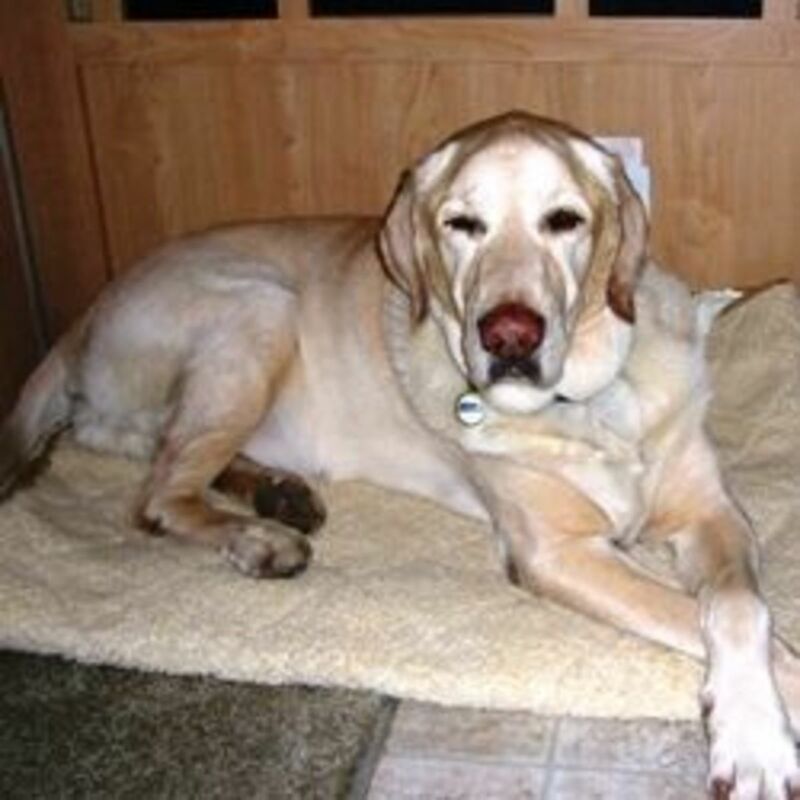 Short Term Treatment: If you think your dog may have a problem you might want to try some pain medication, NSAIDs, exercise restriction, and weight management which all take away pain and manage wear and tear on the joint. 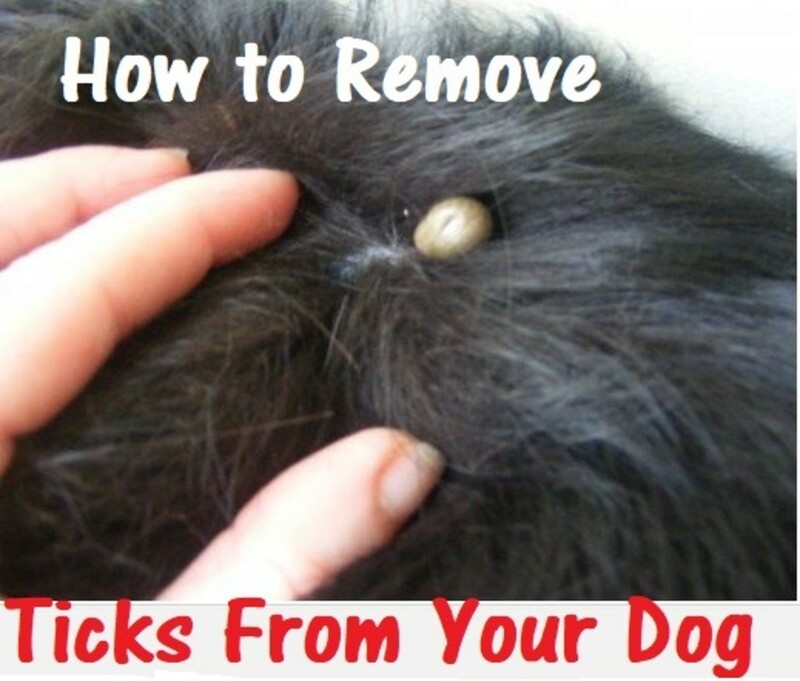 However this won't correct any problems, so as soon as possible you should go to the vet. BioScaffold Implant Procedure: There is a new procedure that has been helping dogs to regrow cells and regenerate anything that had been lost from wear and tear. These are somewhat new procedures so you will have to look into them and see if it is a fit for you and your dog. Information about the TR BioSurgical company that developed this treatment and for more information about osteoarthritis you can read here. Elbow Replacement Surgery: This is a risky surgery, but is one of the only ways to repair the end stage damages that come from these diseases. This surgery was labeled as a "salvage" operation - a last ditch effort to repair a joint for a lame animal. This surgery is more complex than a hip surgery, has longer recovery times, and still leaves a bit of lameness in the animal. However, as times change these surgeries become safer and safer - in 2012 a group of doctors created a new system for replacing the elbow that leads to a wider range of motion, less damage to the animal, is a lot safer, and has safety features that allow the doctor to fix anything easily. I hope you have learned something that can help your dog be more comfortable. Below is a slightly unexciting video that has a lot of information on Elbow Dysplasia - if you have a few minutes and are worried about your dog you might want to take a look and see if it helps you. Good luck!